The following features have been discussed in the Press and at Microsoft's Website. There is no guarantee that these features will ship with v2.0 but this is as close as you can get before the systems ship. 82x Power PC CPUs from Motorola. See the Windows CE 2.0 Development Systems for details. Including the ability to use VGA/NTSC output (640x480 or 800x600) from PC Card. Support for frames and native HTML scripts, plays sounds. Java does not integrate with IE. Most existing Windows CE v1.0 applications will not have to be recompiled to work with Windows CE 2.0. Here's a rough comparison of the rumored Windows CE 2.0 flavor of systems. There is no guarantee that all Windows CE 2.0 systems will have all these features. Windows CE, in cars and phones! Windows CE 2.0 requires a minimum of 4mb of internal ram. All 2mb units are not upgradeable to Windows CE 2.0 (Except Casio A10). NEC Delivers on Microsoft Windows CE 2.0 for Handheld PCs; NEC Among First to Market With New Form Factor in Windows CE 2.0 Handheld Computing Device. Also Announces CE 2.0 Upgrade Program. Jim Floyd, Handheld PC Product Manager in red shirt. 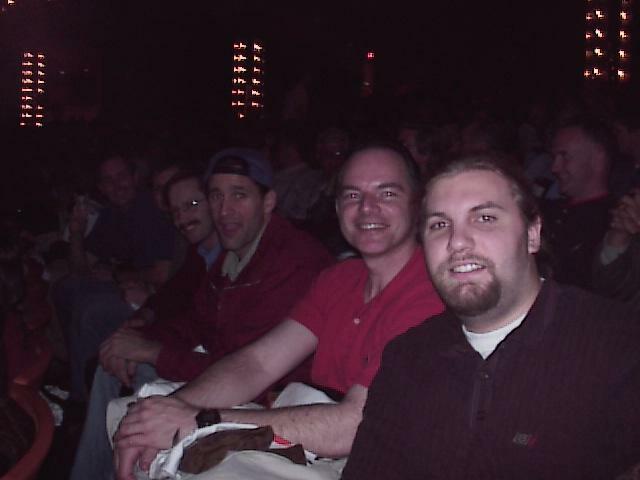 Picture taken at Fall Comdex, 1997 at Aladdin Hotel Keynote. 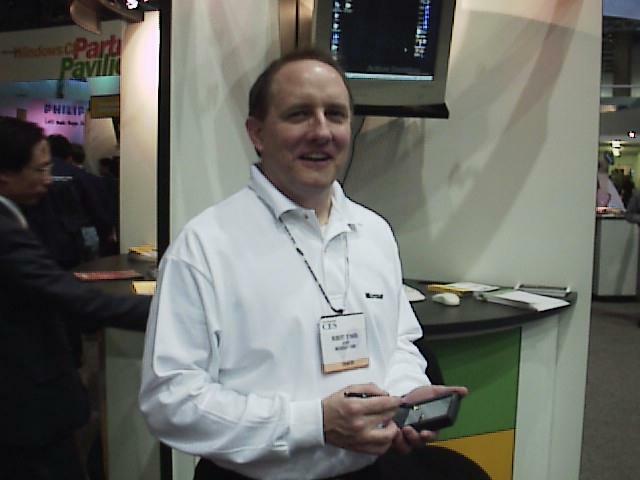 Pictured at Microsoft boot, Winter CES 1998 with Palm PC. He has been working on Windows CE since Pegasus.